Outgrown Coats, Hats, or Mittens? Donate them to Operation Bundle-Up! It’s that time of the the year again… if your family discovers any coats, hats, or mittens that you no longer need, Operation Bundle-Up can put them to good use. 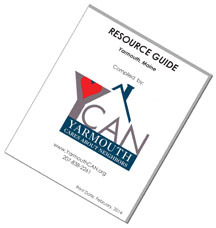 Donated items will be inspected, cleaned, then made available to local families in need through Yarmouth Community Services and the Yarmouth Community Food Pantry, as well as in coordination with Project Holiday’s distribution of gifts and food. Coats, hats, and mittens for Operation Bundle-Up may be donated year-round at Town Hall in Yarmouth, Maine. The collection box is located across from the main desk where you may register vehicles, pay taxes, etc. Posted on November 12, 2015 February 7, 2016 Author ycan11Categories YCANTags Operation Bundle-UpLeave a comment on Outgrown Coats, Hats, or Mittens? Donate them to Operation Bundle-Up!